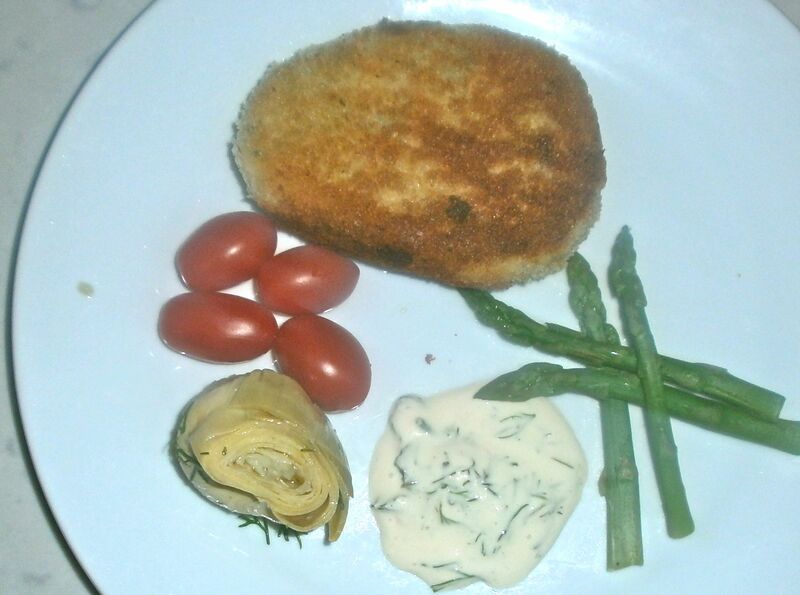 Mackerel fishcake served with asparagus, tomatoes and artichokes for a light lunch. Published September 22, 2012 at 2181 × 1622 in OLYMPUS DIGITAL CAMERA. Post a comment or leave a trackback: Trackback URL.